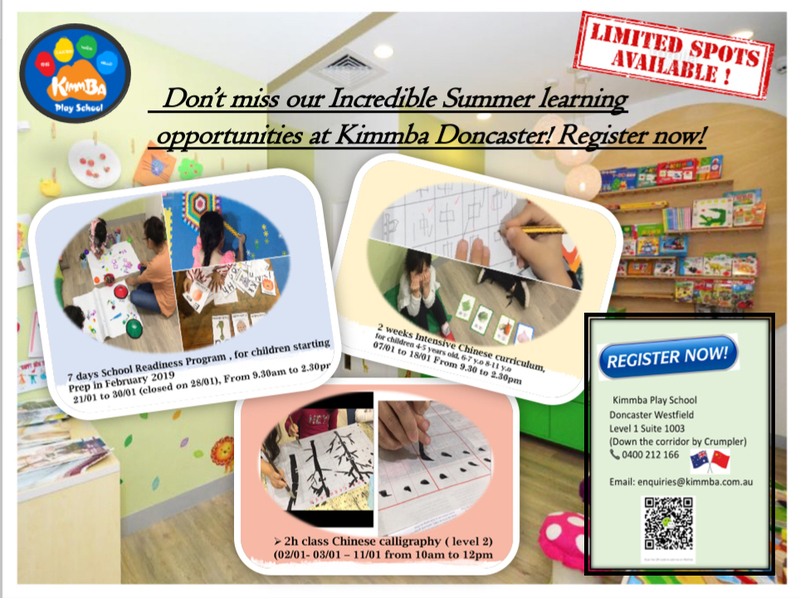 Kimmba Play School DONCASTER has various amazing bilingual summer programs for your children this January. With age appropriate lessons and activities, your children will have fun-filled learning experiences before going back to school. Enrol your children before the end of 2018 and get 2019 enrollment fee- $50 for FREE! Contact us now for more information!